The Ralph Lauren Children’s store at 115 Elm St. in New Canaan will close in mid-August, company officials said. It isn’t clear just what brought on the decision to close a store that has been involved consistently in downtown New Canaan events, including those organized by the New Canaan Chamber of Commerce. The Polo Ralph Lauren store at 51 Elm St. remains open. A spokesperson at the company’s New York City-based headquarters confirmed the imminent closing. Another kids’ store, Littlejohn’s on Elm Street, closed last summer after 24 years in business. The major challenge facing retailers of children’s clothes and accessories is online shopping, especially through bigger box stores, according to Elizabeth Correa, an owner of longtime downtown New Canaan shop Candy Nichols on Main Street. For Correa, launching an online sales channel is especially difficult because it’s impossible to carry enough inventory to support it. 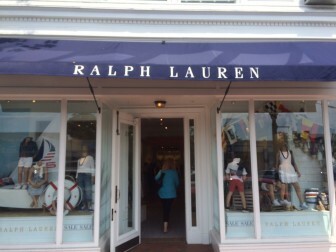 Asked about what challenges may face a New Canaan-based shop such as Ralph Lauren Children’s store specifically, Correa said the shop itself was beautiful. Correa said she tackles the challenges that face shops such as Candy Nichols by offering superior customer service (“it’s the one thing that I can do that they cannot get online”) and operating social media accounts such as the Candy Nichols Instagram account.